*Applies to $99 registrations only. Each person participating in the challenge is required to attend the challenge kickoff meeting and challenge finale meeting at the date and time indicated above. Challenge participants must start and finish the challenge at the same location. A CASH PRIZE of $250 goes to the winner of each category (per club) that has the greatest percentage decrease in body weight. 2 overall winners (Male and Female) will also win $250 credit to FeedMyFit, 1 year Axiom membership and 10 personal training sessions! 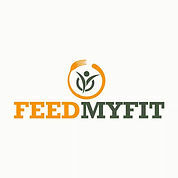 We would like to thank our signature sponsor for this challenge: feedmyfit. This year's CHALLENGE is organized with team spirit in mind! It is a new and exciting way to share, support and prove accountability. You will have the opportunity to pick a team of your choice with a personal trainer or our group exercise instructors. If you do not have a preference of which team you would like to be on, you will be assigned to a team. Each person participating in the challenge will have a MyZone heart rate monitor to aid in accomplishing your individual weight loss goals. You will have the accountability of knowing exactly how hard you are working each time you exercise as well as receiving feedback from your team leader and other members of your challenge team. Watch this video to learn more about MyZone.